Our business was set up in 1997, and our management has over 25 years of professional experience in the field of domestic and international transportation. Karzol-Trans Kft. is a company in 100% Hungarian ownership. Our goal is to get the consignments reliably to their destination by our state-of-the-art tractor units, meeting the individual requirements of our customers, within the member states of the EU. 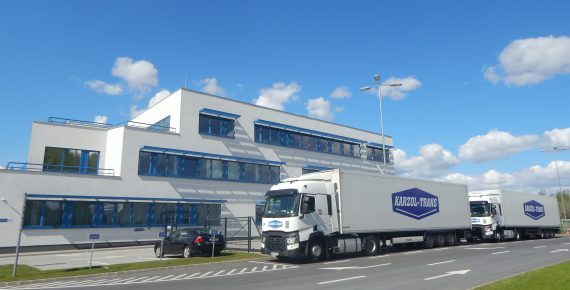 The year of 2013 brought significant changes for Karzol-Trans Kft. : we developed our vehicle fleet as well as our site. Our basic principle is to meet our customers’ all requirements. We devote special attention to increasing the standards of our services and to improving the social conditions of our employees. The performance of the activities of Karzol-Trans Kft is aided at its site by its own full-scale organization. The leaders of the organizational units, acting independently, ensure the smooth and efficient functioning of their departments. 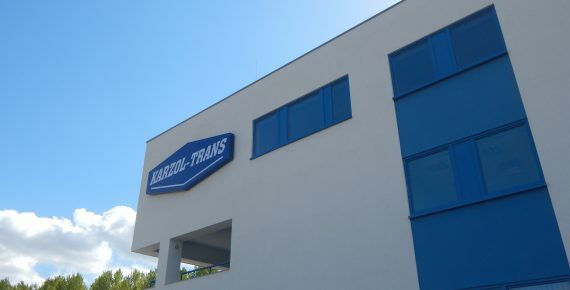 In 2013, the management of Karzol-Trans Kft. realized that its further development is curtailed by physical limits. The increasing number of vehicles and staff members made the management think from the perspective of the possibilities of the site. We recognized the fact that it had become necessary to increase the area of the business as well. Consequently, we set a target to develop a site which meets the requirements of the 21st century measured by European standards, one which is not only suitable for increasing the number of our vehicles and employees, but which is well above the average even in terms of environmental protection and social responsibility. New site and logistics centre of an outstanding quality, which might be expected in the 21st century, and which meets customers’ demands fully. At the same time, we will also keep the site in Monor as a service and repair base. Both sites will have an AS24 diesel filling station. The location of the area enables us to provide safe parking lots not only to our own large goods vehicles but also to other transporters. Our new parking system complies with the highest safety regulations. The Logistics Centre will operate with a 24-hour technical security system and continuous human surveillance. The latest motion sensor signalling system with infra-red barriers will be connected online also with independent surveillance service providers. Our site is located in Ecser with 1000 m2 office area. The total area of our site is 15,000 m2.